Last week I had the opportunity to attend Cisco Live in Melbourne and it was awesome. This is the second year I’ve attended Cisco Live but this year I was there as an Attendee so I had access to the breakout sessions. Previously I only had an Explorer Plus pass which was good for the keynote access, partner theatre sessions and the World of Solutions. While that was fun experience getting access to the breakout session was what I really wanted, and they didn’t disappoint. I’m privileged in that my ticket to Cisco Live was covered by my employer that sees the value in such events and we were also able to leverage Cisco Learning credits. If you wish to attend and have these credits available to you this is a great return on investment and one I’d recommend over a regular 5-day training course. 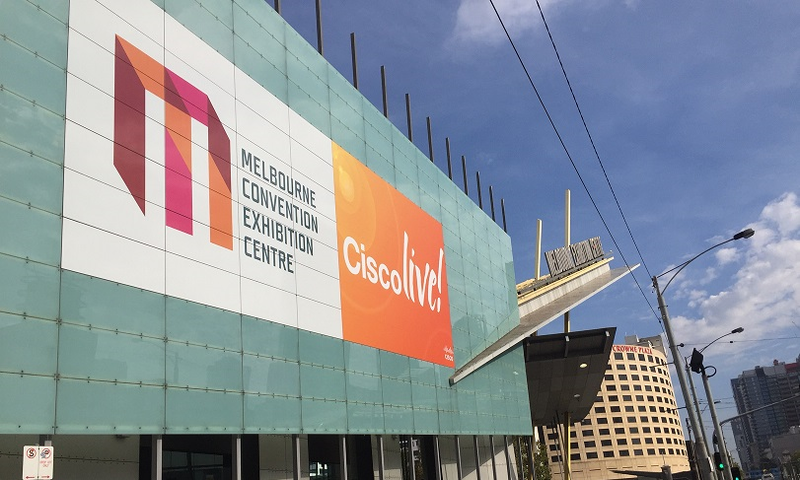 This year Cisco Live was once again held at Melbourne Convention Centre and it’s a brilliant facility that has a great layout, is large enough to cater for the ever-growing number of attendees and is easy to access via public transport. The breakout sessions are full on and a number of people had mentioned beforehand that going to Cisco Live was like drinking from a firehose. They weren’t wrong. Cisco tee up the sessions and you try to cram as much as you can into your grey matter. I also chose to sign up for an extra day technical seminar which was an 8 hour session on Cisco UCS. There were a number of streams that could be chosen but my focus is on UCS. This was an added extra on top of the regular attendee ticket. During the remainder of the week I tried to cram in as many other breakout sessions as I could and catch a few of the partner sessions as well as have some downtime to network a bit. Cisco Live is not just about soaking up as much technical information as possible from the breakout sessions, it’s also about networking and interacting with your peers. I took the opportunity to chat to a number of vendors, some which I work with regularly and others I have absolutely no affiliation with. I also took the chance to quiz the Cisco staff on their solutions in the World of Solutions. For me, one of the highlights of the week was sitting down with Craig Waters from Pure Storage and talking about technology, careers and the benefits of taking part in community events. Craig is also one of the leaders of the Melbourne VMUG user group that runs bi-monthly meet-ups and an annual user conference. More information of that can be found in another post I wrote recently. I want to thank Craig for taking the time out from the busy Pure Storage stand to offer some career guidance. I also met up with one of the other Cisco Champions in Australia, Wayne DeNardi, and had also arranged to meet Chris Partsenidis but an unfortunate series of circumstances meant he was unable to attend. Events such as Cisco Live combine the networking opportunity with the technology overload nicely. I think it’s more worthwhile than attending week long training session and you can learn more in a two hour deep-dive than you would in a 1-day training session. This year is the second year there was a DevNet area at Cisco Live Melbourne and I took the opportunity to check out some sessions on Introduction to Git and Understanding JSON files. These are both areas I know absolutely nothing about but there’s nothing quite like learning something new and getting a decent 101. DevNet was highlighted during the keynote session by Susie Wee as being a growing area within Cisco and she also pointed the attendees towards developer.cisco.com to learn more about working with API’s and SDKs. I took notes from each of the session I attended and put it into this post about Cisco Live Session Review. This gives a more in-depth information of each of the session. Doing that here is too lengthy. However, I thought I’d add some advice if you’re attending Cisco Live in Melbourne. Prepare properly, review the session details and build out your schedule. Stay focused on your core skillset but make sure to look at other areas outside your comfort zone to learn about something new. Wear comfortable shoes, there’ll be lots of walking. My Microsoft Band was notching up 8.5km per day. Know your commute time. In my case I live locally so it’s easy to work out the commute. However if you’re not local make sure you know which tram to take to the event or how long it takes to walk. Taxi’s are expensive in Melbourne and there’s free trams within the city centre area so take advantage of them. And it’s also part of the real Melbourne experience. Be submissive to having to enter draws and competitions and give out your details to every man and his dog. It actually makes the event more fun and there’s always the chance to win something. Vendors attend these events to get potential client lists, you are that potential client, and you will get emails after the event anyway so why not win something along the way. System Link Technology is the ASIC available in M-Series. The ASIC replaces the VIC. 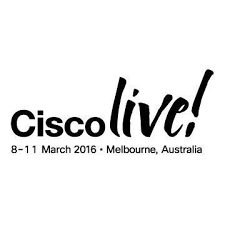 If you get the chance to attend Cisco Live in Melbourne grab the opportunity with both hands. You won’t regret it. It’s a well organised, smoothly run event that manages to find a great balance between technical bombardment and network opportunities. There’s also a management stream available at Cisco Live and while I don’t have any direct experience of it I did hear some good feedback on it. I’m already looking for to CLMEL 2017, hopefully I’ll see you there. This entry was posted in Cisco, Cisco Live and tagged Cisco, Cisco Champion, Cisco Live, Cisco Live Melbourne. Bookmark the permalink.